Do You Make These Common Mistakes When Juggling Work And Headaches? Leave a Comment on Do You Make These Common Mistakes When Juggling Work And Headaches? Long working hours, little breaks and harsh deadlines? Pressure from your boss, crazy workloads and difficult colleagues? No matter who you are, in this day and age, work has the ability to give anyone a headache, let alone someone who is more prone to suffer from them. 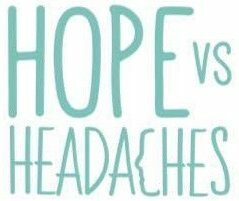 That being said, today I am going to address some common mistakes that might be adding to your head pain and the ways in which you can reduce this by making a few easy changes. Hands up if this is you? No judgement whatsoever. Perfectionism is a real problem. Firstly, there is no such thing as perfection so stop trying to achieve it because you are never going to get there. Sure, having high standards for your work is admirable but striving for the pursuit of perfection will only leave you feeling burnt out, stressed and overwhelmed. I “should” have gotten this report done by now. I “must” stay up late tonight to make sure this is word-perfect. I “have” so much to get done this weekend before going back to work. What are your priorities and what needs to be done first? What could you afford to put to one side for now? What are your non-negotiables this week? What would you like to get done today and what can wait until tomorrow? For me, I spend some time journaling each morning and decide what I want to achieve today and then a list of all the things I would ‘like’ to additionally get done and if I do then great, but if not then no big deal. When you suffer from headaches this is rule no 1, always be prepared. As I personally began to introduce work back into my life, I realised that self-care was actually more essential than ever. You know your body better than anyone else so plan what is going to help you get through your working week. Is it doing a calming five-minute meditation before a big meeting? Making sure you have had an early night before that big presentation for your boss? Or is it just making sure you brought enough healthy snacks/food with you for the day’s events? The key is to understand what it is your body needs before, during and after a work activity in order to maintain balance and a calm head. Experiment and find what works best for you. Sometimes no matter what you do a headache will strike, but I’ve learned that it’s how I deal with it that matters. The first thing I do in order to decide whether or not I can go on or not is to reach for my best tools, this includes some deep breathing, reframing, positive self-talk and some trusty journaling to see what’s going on for me. If after this, I feel mentally able and confident in being able to continue, I will push on, however, if I only feel worse and mentally do not feel as if I can handle the upcoming task then I know it’s not worth it. Only you can determine what’s best for you and your body so trust your gut because 9/10 it’s always right. Your health matters and it’s your job to look after no 1 because your boss or colleagues aren’t going to do it for you. Did you find this helpful? What struggles do you find when working and preventing headaches?